Photo "Fragments of my job"
The gunstock is made in Turkish walnut. 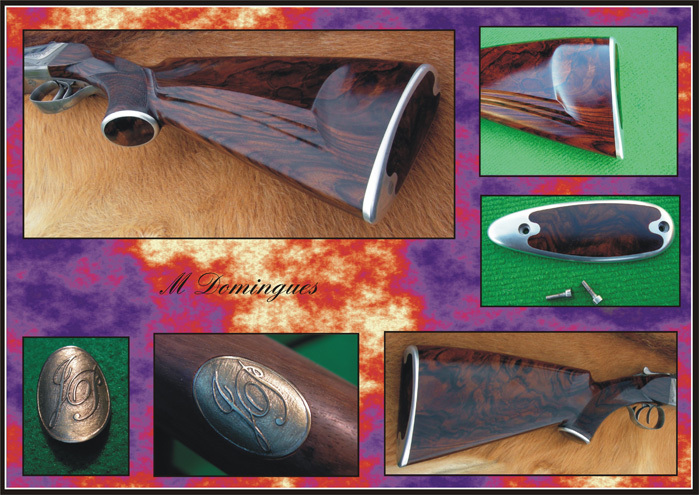 The edge of the recoil pad and the grip is made in stainless steel. The crest is made in brass. All this parts are hand made. Very interesting job! And good picture! Did you know the very first gun was a musket. down with a stick before firing. Muzzle-loading shoulder firearm, evolved in 16th-century! I have alredy repaired same muskets of year's 1770! Exellent work done with love!.. interesting and nice presentation, excellent done! Хороший подбор частей и их подача.